Fly your own flag with the new 2018 curved brim baseball cap from New Era. Logo: Stitched New York Yankees logo with New Era stitched logo on side front panel. Underside of Brim Colour: Navy. Aqua Footwear. Hat Size:One Size. Strap Type:Adjustable. Head circumference:about 55 - 60 cm. We will try our best to service you. Normally your parcel will arrive smoothly. Under-bill features sublimated printed artwork by Sullen Art Collective artist David Garcia. SULLEN SHIFTY SNAPBACK HAT / CAP. SULLEN URBAN ASSAULT SNAPBACK HAT / CAP [BLUE]. • New Era 59Fifty Snapback hat. 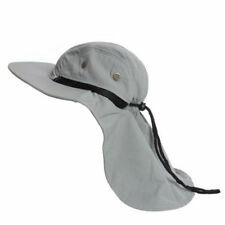 Size:head circumference:55-63CM(Adjustable);Wide brim：8CM;Ear Neck Cover:lenght:20CM,wide:33CM. Great for Fishing, Hunting, Hiking and most outdoor sports activities. Adjustable with zip tie on back of hat. Logo: Geelong Cats logo with New Era stitched logo on side front panel. Fly your own flag with the new 2019 curved brim baseball cap from New Era. Underside of Brim Colour: Navy. Aqua Footwear. Style:6-panel velcro adjustable cap, with a high structured crown. Oakley Novelty Tin Can Cap. Oakley Icon. Model: Novelty Tin Can. Colour: Dark Brush. Stretch Fit. Browse All Products. Hawaii Trucker Cap Aqua One Size Fits Most. 100% Polyester. Helikon Tactical Baseball Vent Cap. Manufacturer: Helikon. Colour: Coyote. Front Hook and Loop panel: 9x5cm (3.5"x1.9"). Top Hook and Loop panel: 6x5.5cm (2.3"x2.1"). You are also entitled to have the goods repaired or replaced if the goods fail to be of acceptable quality and the failure does not amount to a major failure. Greaser Snapback hat with patch on front. Sullen Art Collective. Logo: Essendon Bombers logo with New Era stitched logo on side front panel. Fly your own flag with the new 2019 curved brim baseball cap from New Era. Underside of Brim Colour: Black. Aqua Footwear. Style:6-panel velcro adjustable cap, with a high structured crown. Oh For FOX Sake. Black Truckers Cap.